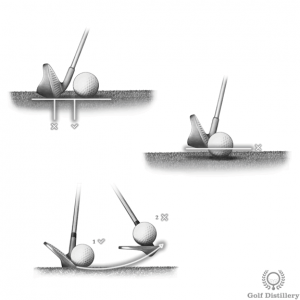 A golf swing that is said to be decelerating – or of the decel variety – is one that sees the club losing speed as it heads into impact with the ball. This is in contrast to a better swing that will see the club continue accelerating until after the ball has been hit. Indeed, a proper swing for whatever shot or with any club used should be heading into the ball at its fastest pace of the swing. In a full swing, the biggest problem with a decel swing is that the transfer of energy onto the ball will be limited. Indeed, while ample power may have been generated during the backswing through the coiling of the hips and shoulders, that power will dissipate during the downswing and as a result will not be fully transferred onto the ball. Indeed, only a strike with a club that is accelerating towards impact will be able to most efficiently transfer energy created during the first half of the swing. 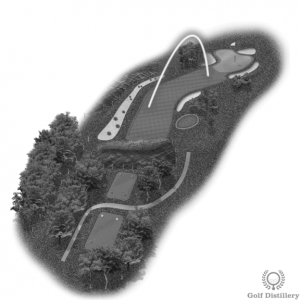 For delicate shots around the green such a pitches and chips, decelerating brings with it the risk of chunk shots where the club hits behind the ball and either digs in for a fat shot or skips off the surface of the ground before the ball for a skulled shots. 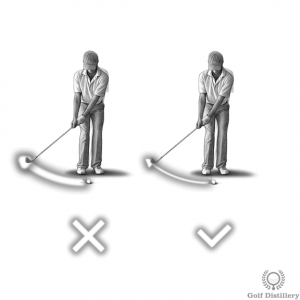 For short chips, a decel swing may even bring with it the chance of double tapping the ball as the clubhead hits the ball while it is in midair for a second time after the initial contact. One of the better ways to make sure your club travels faster on the downswing than it does in the backswing is to set a slow speed for that backswing from the beginning. 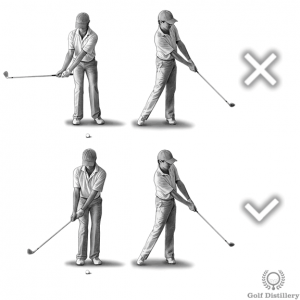 Indeed, by focusing on making sure your backswing is not rushed you are increasing your chances of producing a downswing that will feature more vigor in comparison. The problem with a decel swing is often in a backswing that is simply too fast and whose pace is difficult to match or beat during the downswing. Focusing on a slow takeaway and backswing should help solve many deceleration issues in full swings. 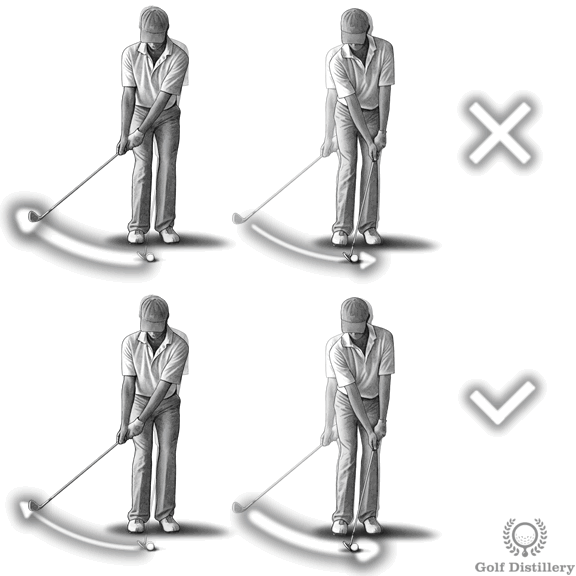 For finesse shots such as chips or even putts the key to solving decel issues is simply to shorten the backswing. Indeed, for those types of shots decel issues are almost always tied to the fact that the backswing was too long to begin with. 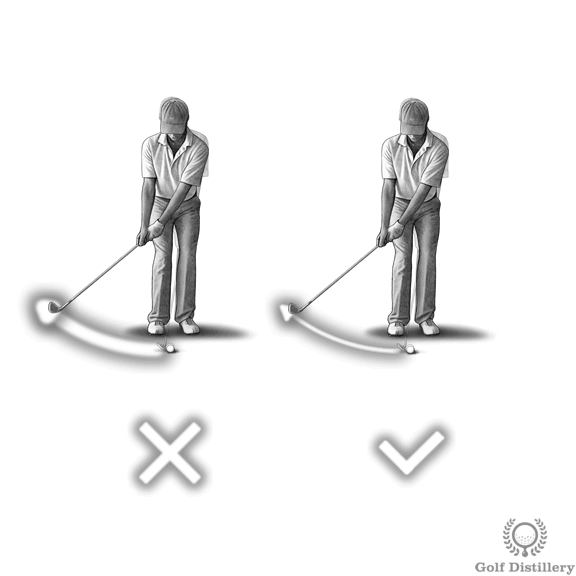 In those instances accelerating through the ball from a backswing that was too wide surely leads to shots that go too far, hence the adjustment to slow the club down as the club starts moving towards the ball.